Scandinavian tables give a nice atmosphere to your interior. We have beautiful tables and side tables for you from on stock from eg Ferm Living and By Lassen. Scandinavian tables can make just that striking difference in your interior. Are you looking for a nice table with a minimalist look? 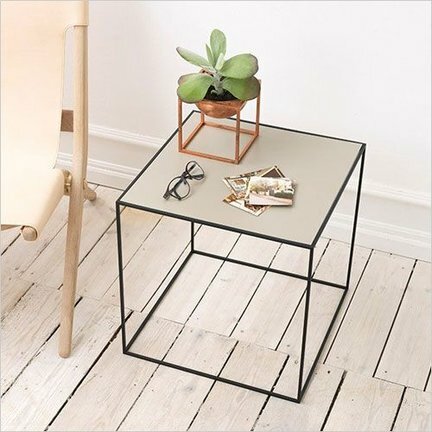 A Scandinavian table that has a natural look and feel included? We have them for you. Just like we have selected all kinds of nice Scandinavian home accessories for you. If there is still something missing in your interior or you wish to replace something, you know that you can buy it in our shop. We know that tastes differ. That is why the assortment with Scandinavian design furniture has a wide variety. You just take your preference for a style into account. Maybe your eye will fall on a very modern Scandinavian table this time round. Or on a table designed in a stylish industrial style. The minimalist character is as usual the basis of a Scandinavian interior, but of course in the form and design you want. Tip: take the colour scheme of the Scandinavian tables into account. Don't forget to pay attention to size. Then you can be sure that the Scandinavian table will literally fit into your interior ♥.